Purchase Norman's new CD "Symphony of Love" . 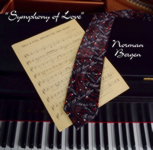 Get Norman's new CD "Symphony of Love" here. What do TOM JONES, SNOOP DOGG, GLORIA GAYNOR, and WYCLEF JEAN have in common? They have all recorded the music of NORMAN BERGEN! Only A Fool Breaks His Own Heart”, Norman’s own rendition of his international hit song. “It’s Christmas Day”, a happy holiday song with a positive message for the whole family. “Symphony of Love”, a trip back to the 60s with a melody you’ll never forget! 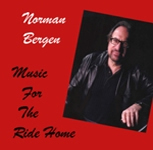 Arrangements/Orchestrations by: Norman Bergen; PRODUCED BY NEIL BROCKBANK & ROBERT TREHERNE at GOLDTOP STUDIOS, LONDON, U.K.
“MUSIC FOR THE RIDE HOME” is an instrumental collection of songs by some of Norman’s favorite composers including Burt Bacharach, Marvin Hamlisch, and Elton John, played in Norman’s uniquely beautiful piano style.